Every year, there are plenty of varsity athletes at Laurier who go on to play professionally at a high level after graduation. However, there are also a great deal of athletes who are unable to transition to the pro level. And it’s often these students who still go on to make a career out of sports, just in a different manner. Laurier grad Isabelle McLemore was one of these students. McLemore graduated from Laurier in 2002 and has gone on to have an extremely successful career in sports communications. “Growing up, I had an incredible passion for sports. I was definitely interested in a possible scholarship to the U.S. My primary summer sport in high school was soccer so I was sort of chasing that opportunity to go to the U.S. But when push came to shove, I realized that I wanted to stay in Canada and so I went to Laurier and although soccer didn’t work out, I saw signs in the halls of Laurier for tryouts for the lacrosse team, so I ended up joining the lacrosse team,” she said. Although a professional playing career wasn’t in the cards for the Whitby, Ontario native, McLemore found a way to stay involved in sports after graduation. Her first big opportunity came through Tennis Canada, where she went from being an intern to the full time media and public relations coordinator. She then transitioned to managing media relations for the Canadian Olympic committee before joining the UFC as the vice-president of corporate communications. 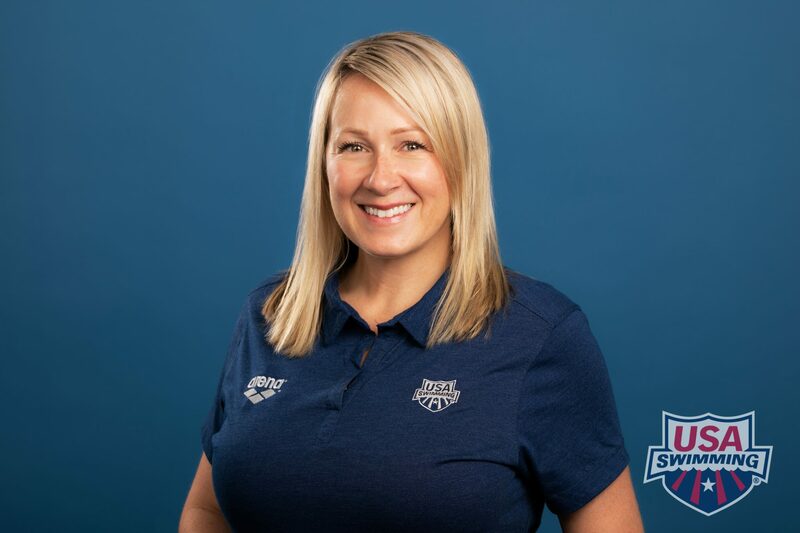 McLemore currently operates as the senior communications director for USA Swimming; her fourth major position in sports communications after graduation. But moving from job to job, especially with massive national and international organizations, is far from easy. “There’s definitely a steep learning curve when you look at the sports that I’ve moved from. You just try to get up to speed as quickly as you can in terms of the intricacies of the sport. But if that’s what you’re passionate about then you put the time and effort in,” McLemore said. “There’s a lot of people moving and bouncing around [in this industry] because when you look at those teams and leagues, they’re always looking for people with new perspectives, and new perspectives come from different sports or spaces,” she added. McLemore has been in the sports communication industry for over 15 years now, and she has been a part of the constantly changing sports world. When asked about the impact of social media, McLemore explained how it has forced sports organizations to change the way they do things. “Social media has incredibly changed the sports landscape. There’s so many things competing for attention in the same space. You have to find out how the different age groups [of fans] are viewing sports. Businesses have to change and evolve to go to the viewer and the fan,” she said. McLemore is a great example of an individual who continued to chase her dream, even when things weren’t going her way. She pointed out that one of best ways to succeed in the sports media world is to volunteer and take advantage of every opportunity that comes your way.